Want to build a DY ottoman and looking for project ideas with instructions? 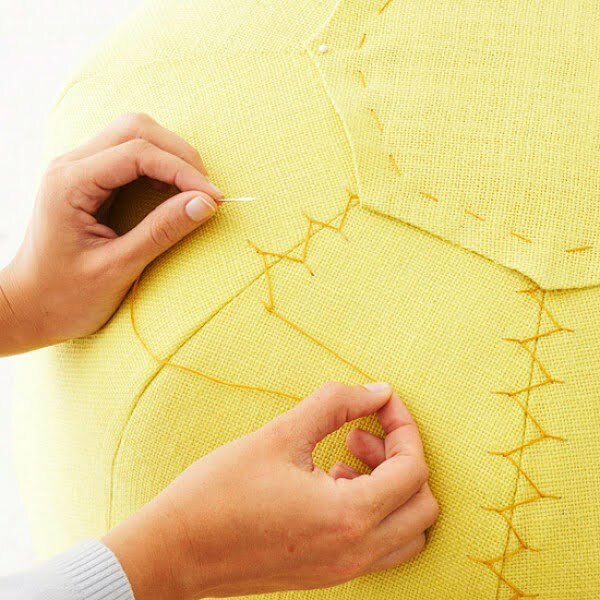 Here are 40 easy step by step tutorials that will help you out. 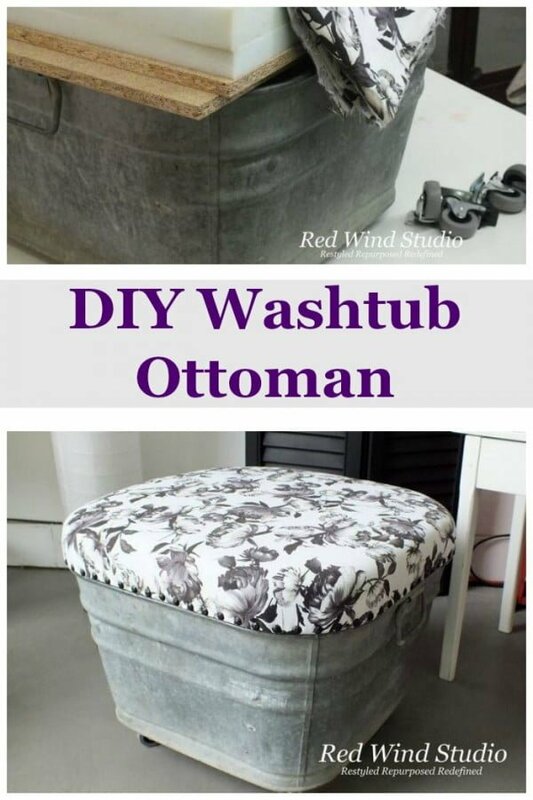 You can make these easy DIY ottoman projects even on a tight budget! There’s no other piece of furniture so versatile and functional as an ottoman. It can be used just about anywhere at home, from the living room to the bedroom and sometimes even in the bathroom. It can be the perfect central accent piece of the room that all furniture is positioned around. And it can be that handy, convenient piece by the sofa for many uses. There are many styles and forms in which an ottoman can be made, and its use depends on it. But above all, we’d like to introduce you to the idea of building your very own ottoman. Yes, you can do it even if you’re not a seasoned crafter. 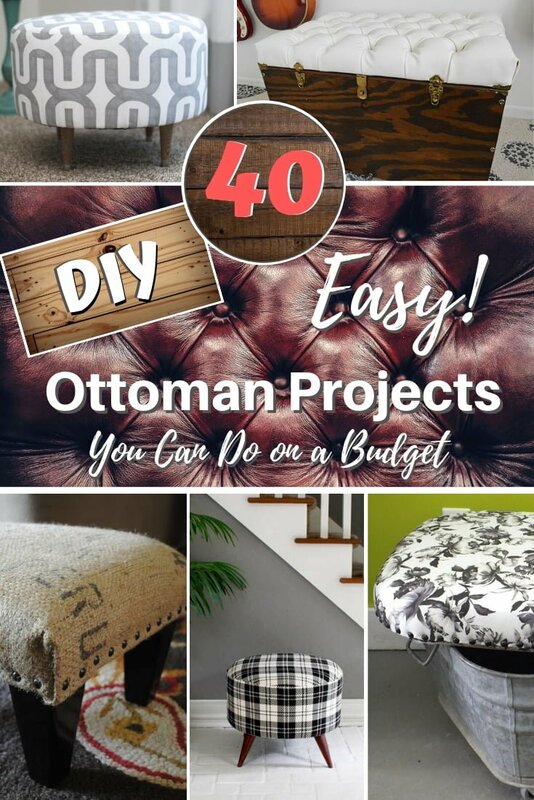 And here are 40 DIY ottoman ideas that you can quickly try. You can use an old coffee table as the basis for a fresh new ottoman that will transform the look of your living room completely. As you can see, the process is pretty straightforward. 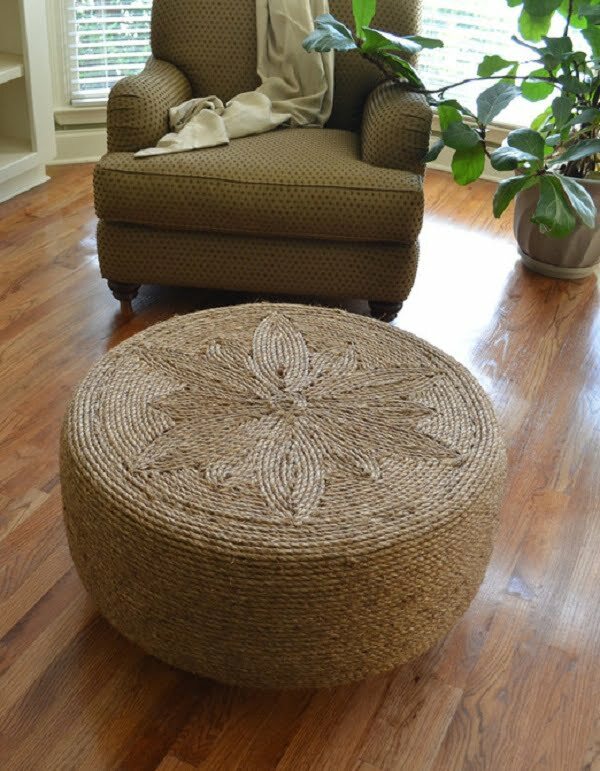 An old electric wire spool makes the perfect frame for a round ottoman. And by building it, you can be proud of reusing and recycling materials. As we know perfectly well, pallet wood makes an excellent material for many DIY projects. 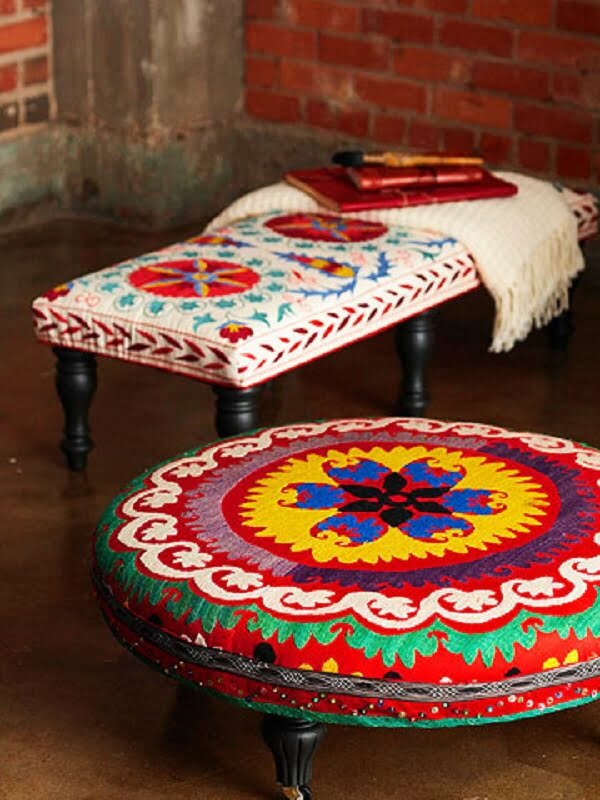 An ottoman is not an exception, and you can build a remarkable piece of furniture with it. We love IKEA hacks because we can make great things from inexpensive standard furniture. 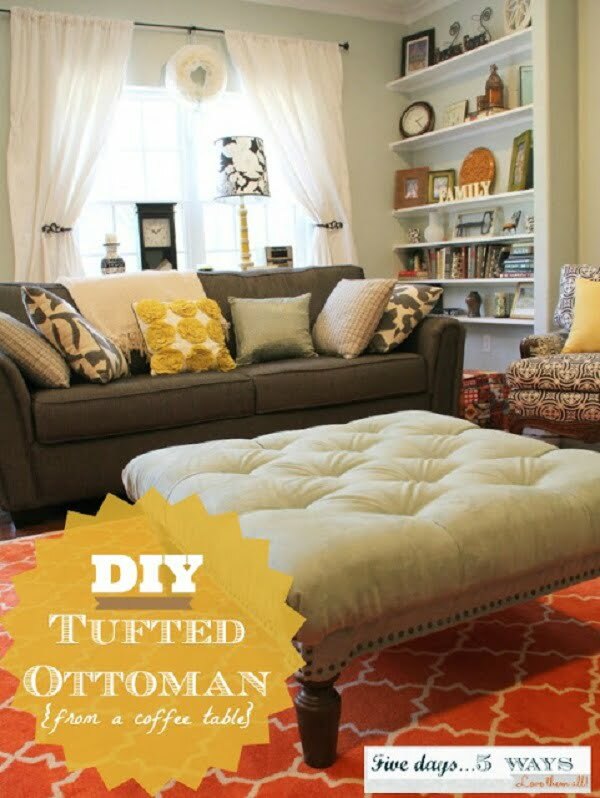 Check out how this awesome tufted ottoman is made from a plain coffee table. Storage ottomans are great in their function as well as style. Such a piece of furniture offers a lot of storage space as a unit, and it looks good in a room against the wall. This DIY project is brilliant because it makes a lovely piece of furniture from a simple utility bucket. It’s perfect to rest your feet when placed against a sofa or a chair. 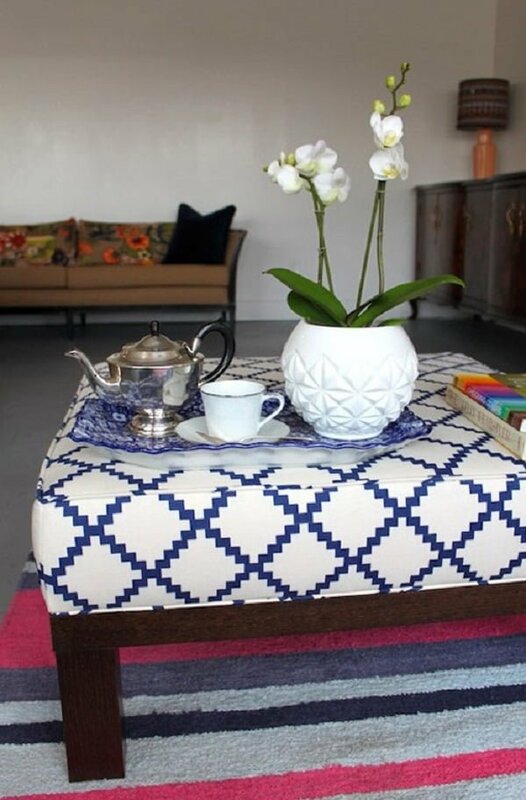 The pouf is a cozy sort of ottomans, and you can make one yourself too. 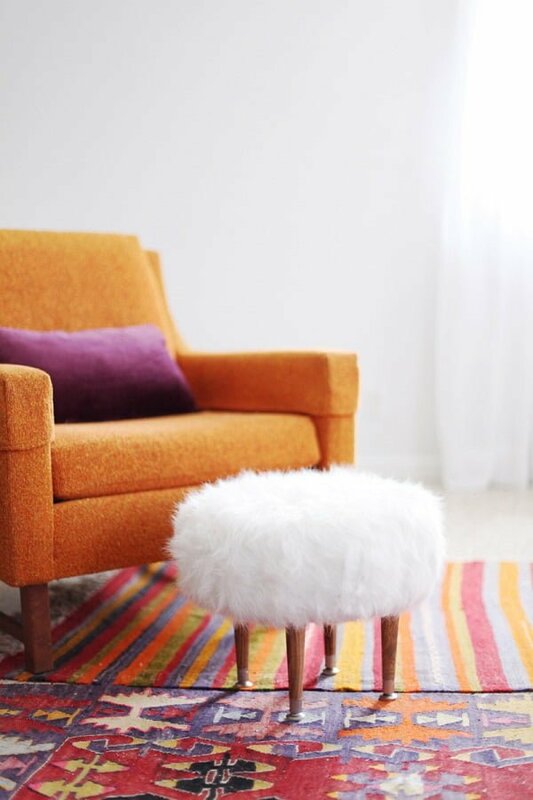 Here’s a DIY project for a pouf for you to try. Need more storage space? 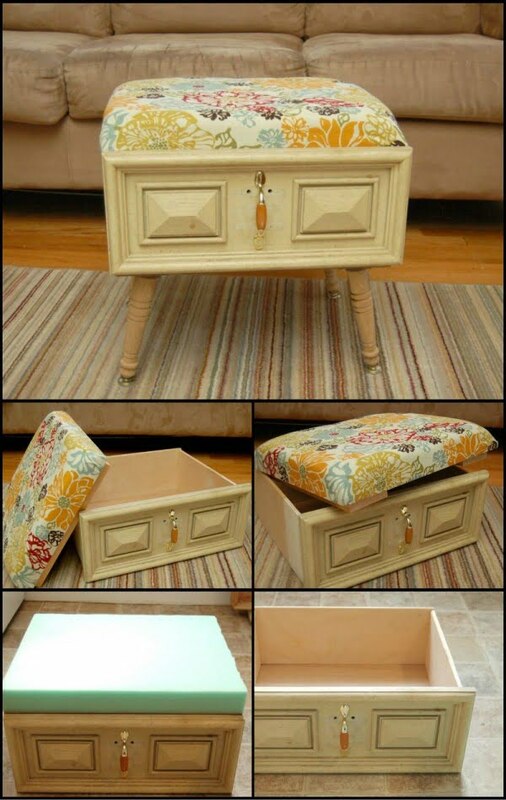 Here’s how you can build your own storage ottoman from scratch. Some wood crafting skills are required, but instructions are included. Of all the things that can be transformed into an ottoman, a galvanized wash tube is perhaps the most surprising. It makes a great rustic accent, though, and we love it. This has to be the cheapest material you can build an ottoman from. Can you believe a bunch of plastic bottles and carton is all it takes? And of course, a fabric of your choice to make it pretty. An old drawer as the frame for an ottoman makes the piece of furniture chic and whimsical. 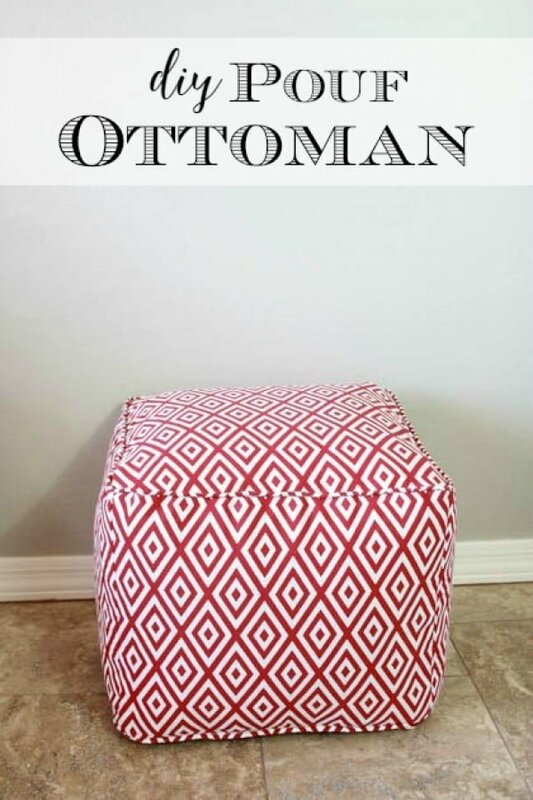 Try this project for a unique ottoman. 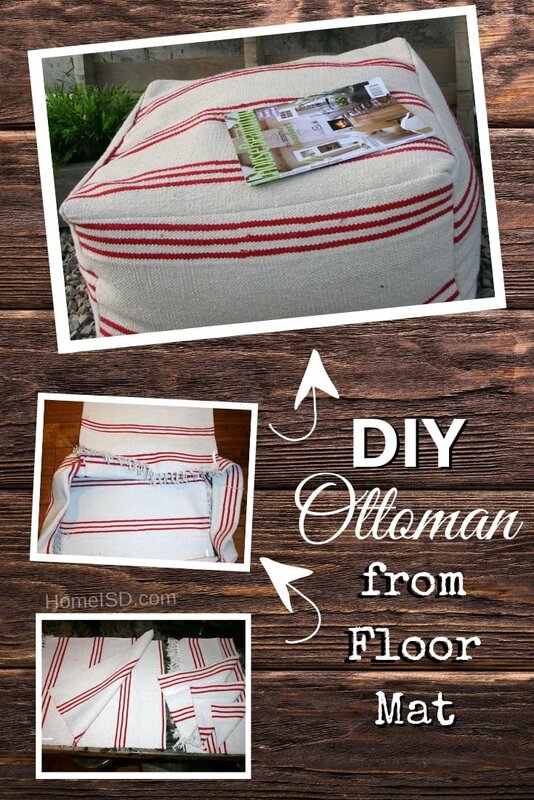 Use a burlap coffee sack to upholster your ottoman. It’s a beautiful and warm rustic accent for your decor. It doesn’t get any more simple than this. 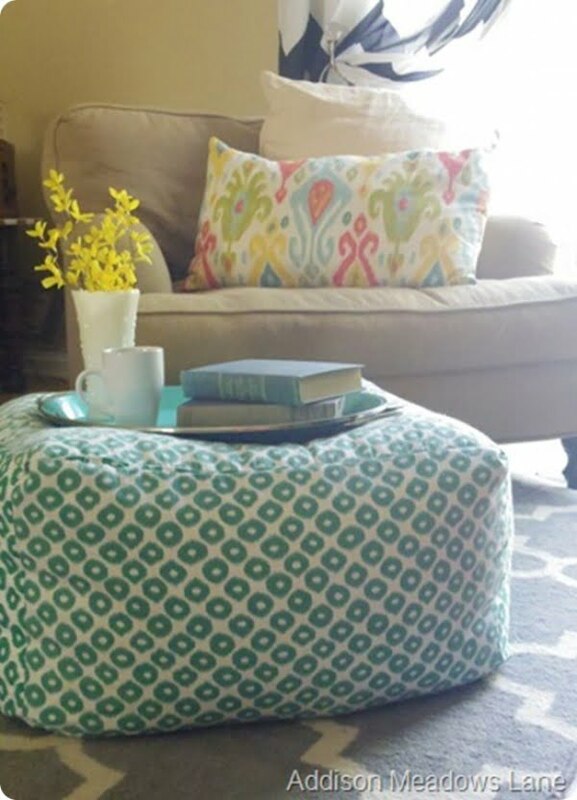 Use a floor mat as the perfect material for a pouf ottoman. If you like them big, you can sew this oversize pouf ottoman. Just follow the instructions for an easy DIY project. Introducing more shapes to your decor is only a good idea. 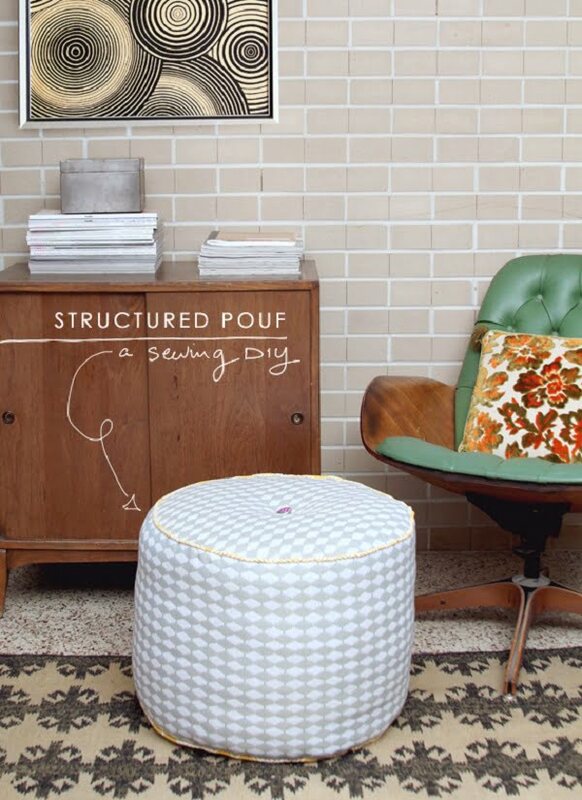 So why not sew this pretty round pouf ottoman for your home. 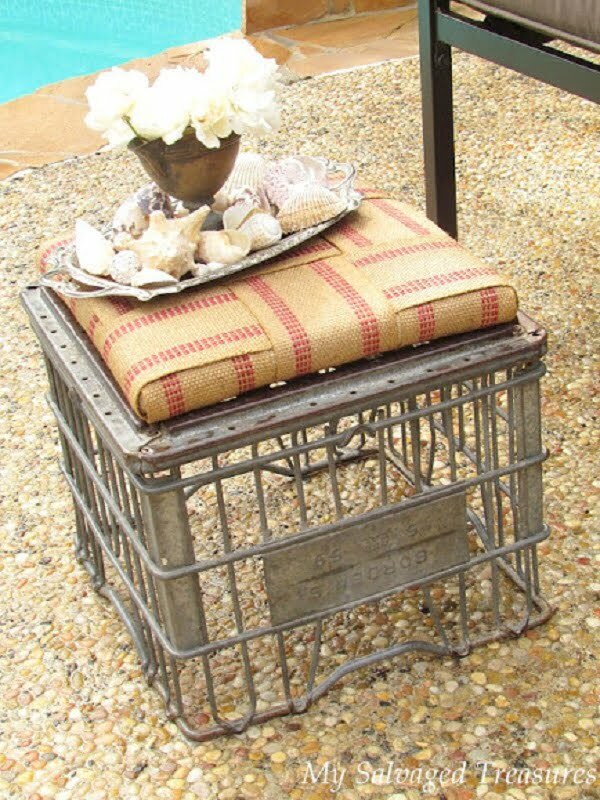 A vintage metal milk crate makes the perfect place for tired feet in need of a rest. Paired with some striped jute webbing, this ottoman will brighten up any space. Nice legs are nice legs, right? Scour the second-hand stores for an ottoman with nice legs, and you are half way to a sophisticated ottoman to class up a room. 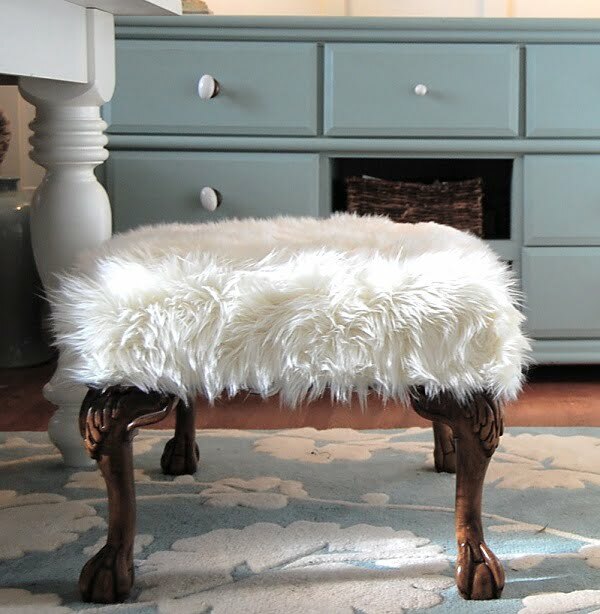 Reupholster the ottoman’s top with some fur, real or faux, for a touch of sophistication and luxury. Far too many tires end up in the landfills. Repurpose a tire by turning it into a functional ottoman. Covering the tire in rope and adding some legs produces a piece no one will believe was once a tire. Some new legs and a fresh swatch of fabric can turn a run-of-the-mill Ikea ottoman into a unique and fully functional cocktail-sized ottoman. Building your storage ottoman is ideal as you can customize it to your space and storage needs. 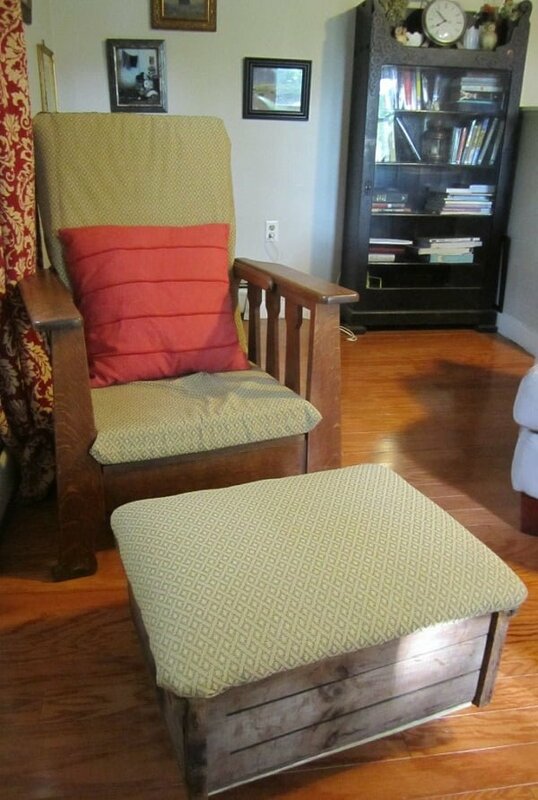 Upholster it with some lovely fabric, and you have an aesthetically pleasing and entirely practical DIY ottoman. 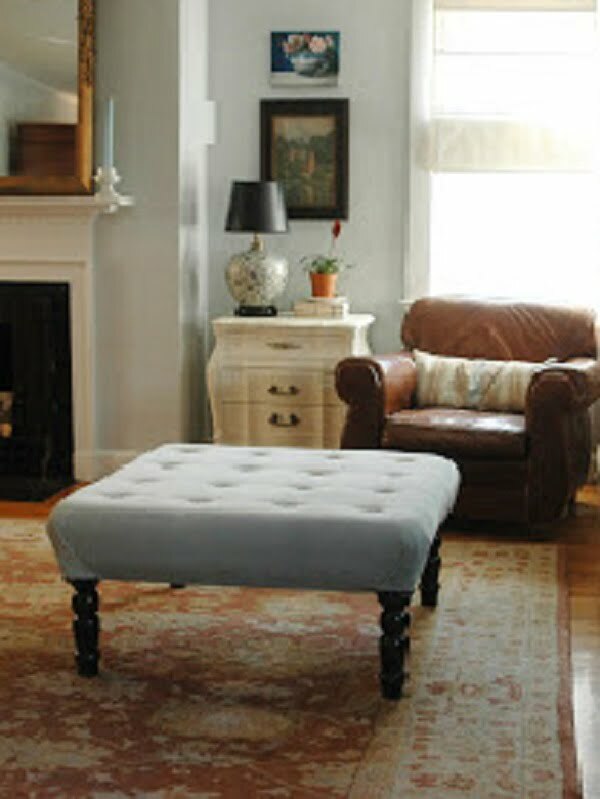 Reupholstering a leather ottoman to give it an entirely new look is a cost-effective alternative to buying a new piece. 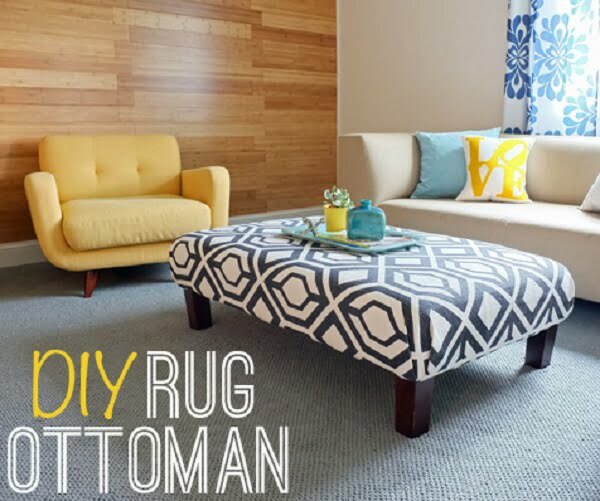 Thinking outside the box and using a rug as an alternative to the pricey fabric can give your ottoman just a look you are after without the expensive price tag. In decorating, there is quite simply always a solution. 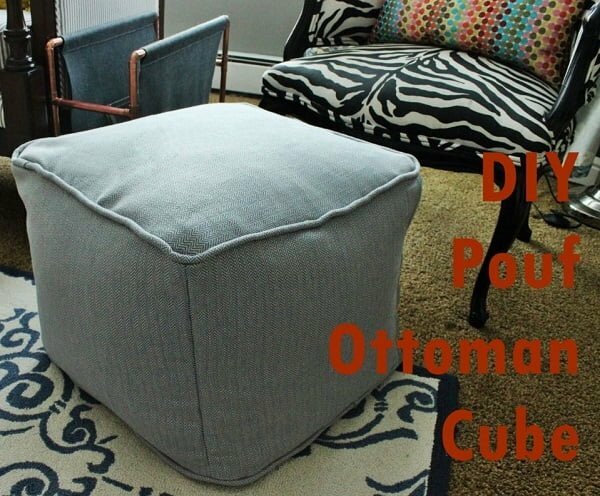 DIYing your pouf ottoman is easier than it seems and can give you the exact look and size you are after. Covering it with some bright sunny fabric will add just the right pop of color to your space. Wood crates are all the rage in the world of repurposing. Adding some caster wheels on the bottom make it perfect for non-carpeted floors. A nice upholstered surface makes it as comfortable as it is functional. 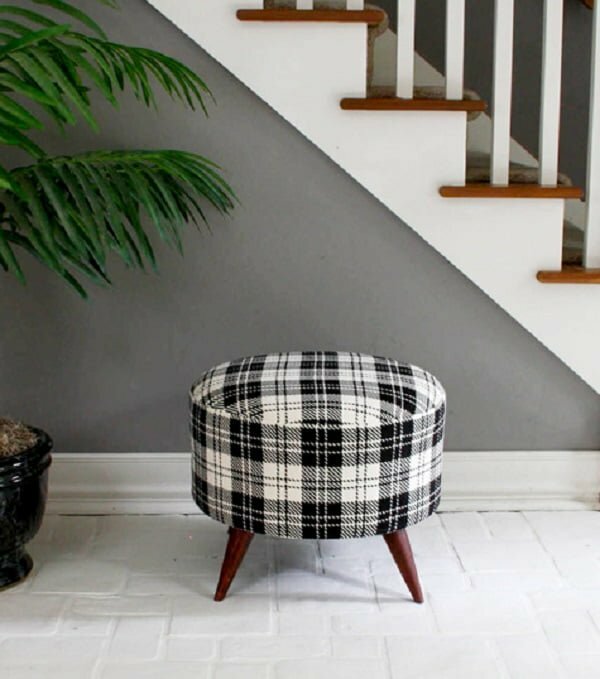 If you have some sewing savvy, a DIY pouf ottoman could be your next project. Ideal for customizing to your space, your pouf ottoman is cushy and unique, with fabric hand-picked to enhance the surrounding area. 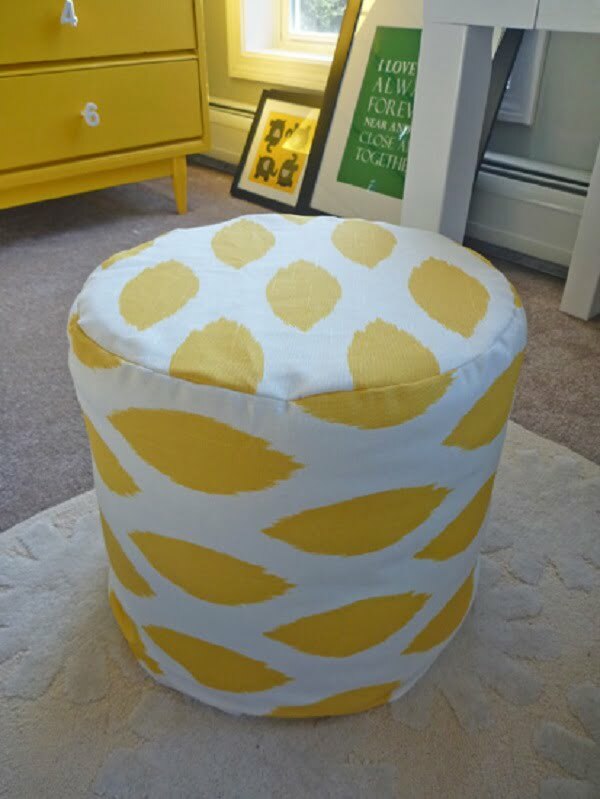 Pouf ottomans are perfect for DIYers. They are such versatile furniture pieces as they can be used as a foot-rest, a small seat, or even as a handy-dandy accent table. They are also easy to relocate throughout the home. For small spaces, the pouf ottoman is a must-have. The world of repurposing is a whimsical and ever-surprising one. Anything can become anything else with a little imagination and ingenuity. 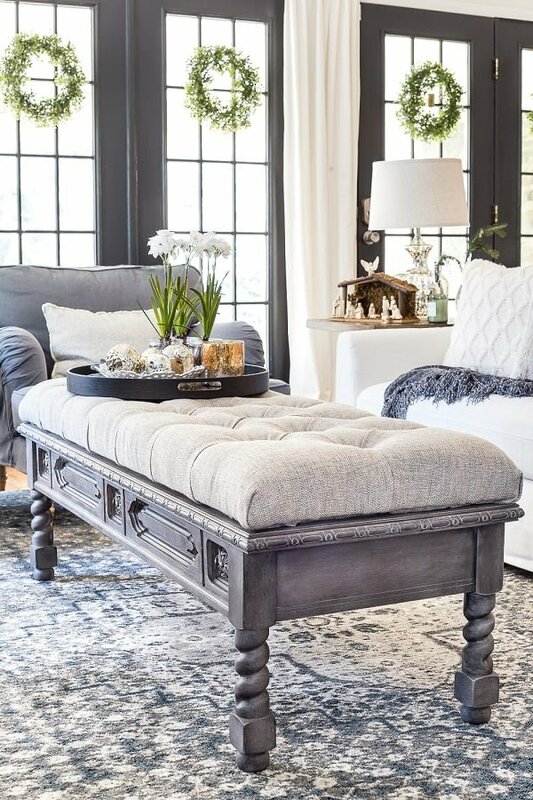 Turning a coffee table into an ottoman is perfect to achieve the look of a large-scale cocktail ottoman, without the hefty price tag. Some skills with the power tools, imagination, and creativity can guide you in creating a leather-upholstered tufted storage ottoman all your guests will envy. Coffee tables are perfect pieces to repurpose, especially if they have those great legs and the size you are after. Painting or spraying the legs and adding an upholstered surface takes a little time but produces a significant result. Ottomans are incredibly versatile furniture pieces. They can be used as tables, seats, or footrests. 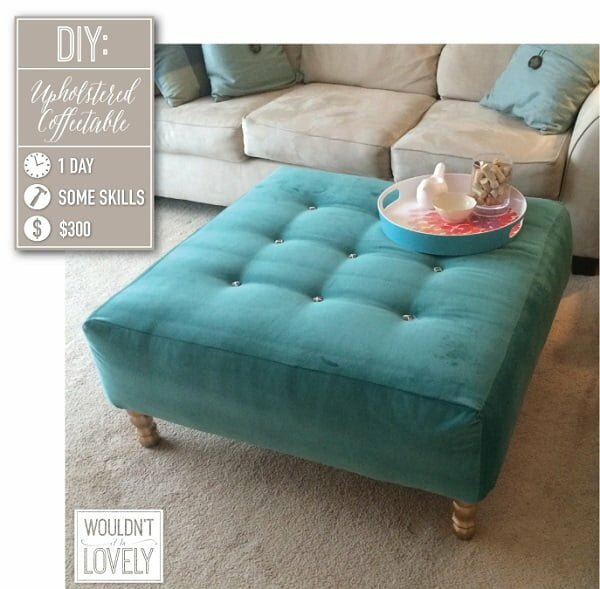 Most often, all you will need is a staple gun, hand saw, and the glue gun to create your unique upholstered ottoman. The best thing about being a DIYer that you can execute precisely what your vision is. 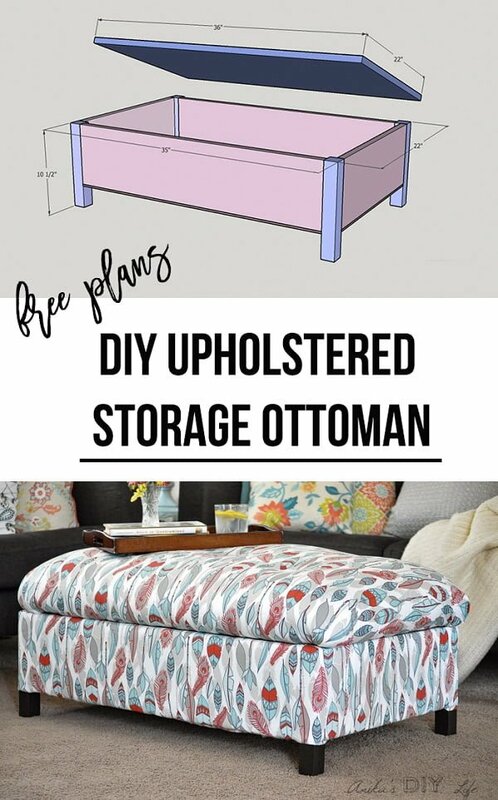 If it is some funk and whimsy you want to add to your space, a DIY ottoman upholstered in a bright and bold fabric is exactly what you need. Wooden spools are very versatile as accent tables or ottomans. Covering one with padding and fabric and adding some legs can take it from ‘spool’ to ‘cool’ in a New York minute. This is an exciting one. 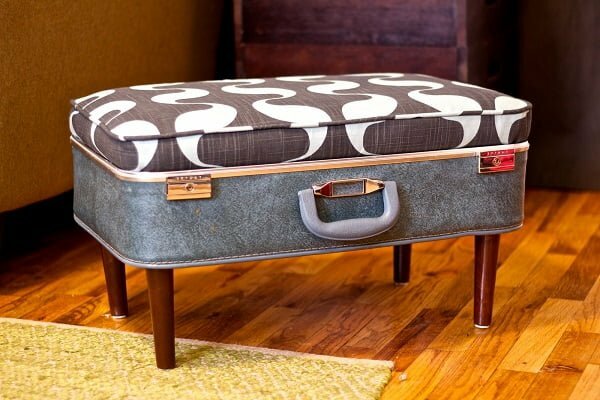 Haven’t you seen those super cool vintage suitcases at your local thrift shop and thought, “What exactly could I do with that, and why do I want that?” With some added legs, those suitcases can become a cool and unique storage ottoman that, via the handle, is extremely easy to relocate around the home. Building your small stool is pretty basic. 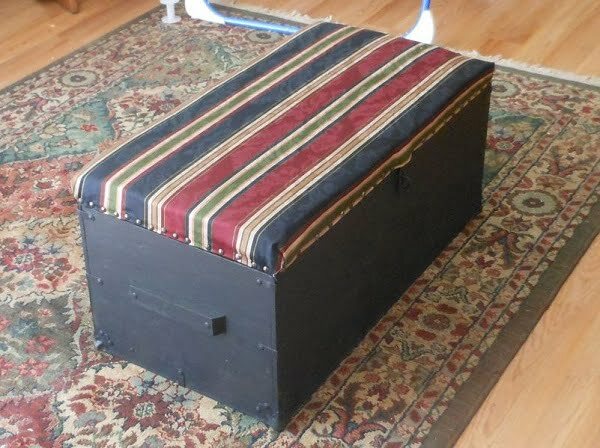 Taking it one step further and turning it into a functional ottoman is a fun and simple project for most DIYers to enjoy. Add some faux fur to the top for a splash of texture and luxury. 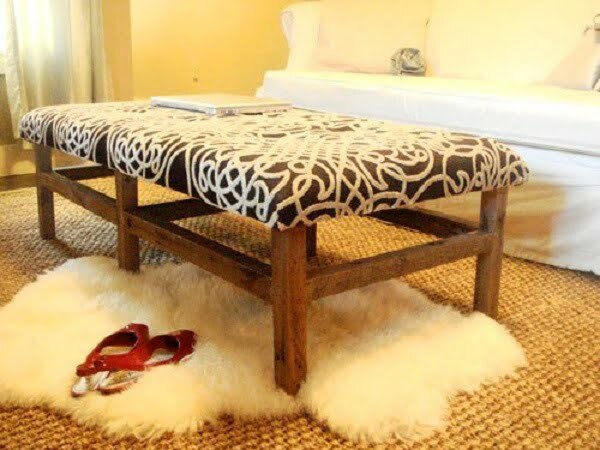 Turning a decadent coffee table into an ottoman is a fabulous way to repurpose furniture into a statement piece. 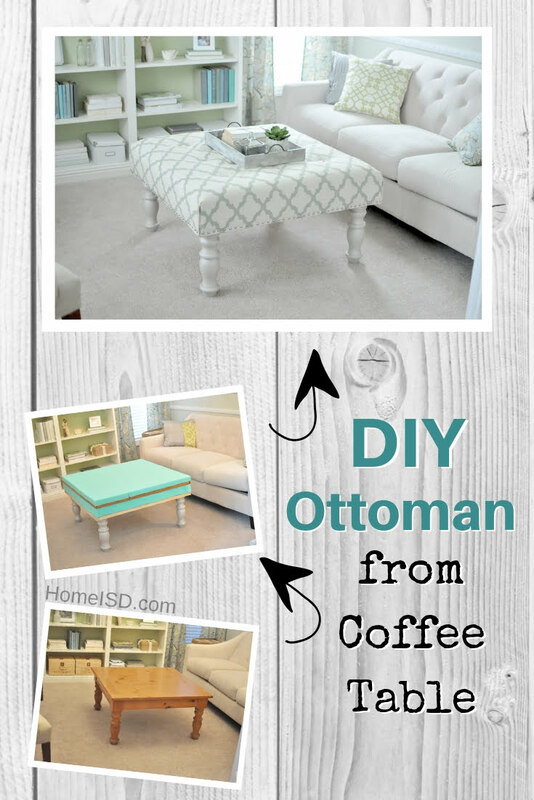 If you are looking for a cocktail-sized ottoman, coffee tables make the perfect bases for DIY ottomans. For a touch of funk, adding a gold-colored faux leather ottoman will get you there. It’s incredible how a cube of bling can liven up space. 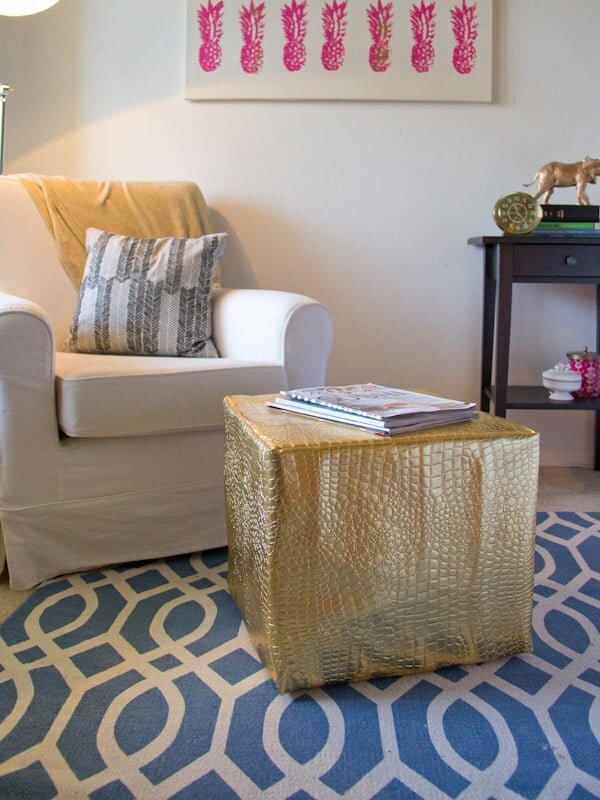 A cube-size faux leather ottoman is a great project for a DIYer. Most anything can be repurposed into a functional ottoman. An army footlocker can be the ideal size, plus the side handles make it easy to move around. Add some fabric and padding and voila! Few things add such a touch of sophistication a tufted fabric surface. 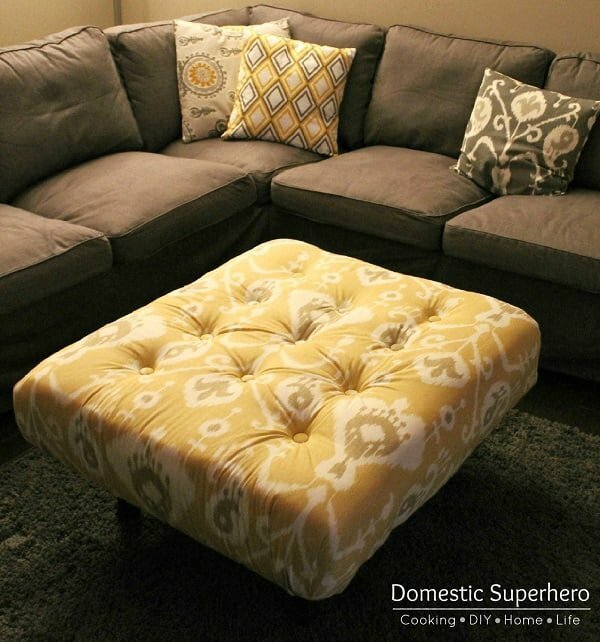 Transforming a coffee table into a tufted ottoman masterpiece is a DIYers dream. Pallets are a great source of inexpensive wood for DIY projects. Adding some legs, padding, and fabric can turn a seemingly useless pallet into an ottoman that will be a conversation piece. 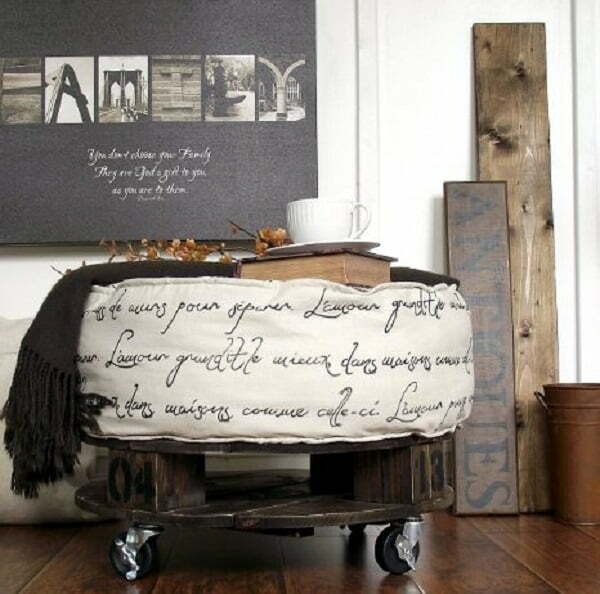 A replicated round pallet makes the perfect base to customize into a French industrial ottoman. Some metal casters, stain, fabric, and padding synergize to become the ultimate in industrial chic. Don’t throw out that old coffee table just yet. 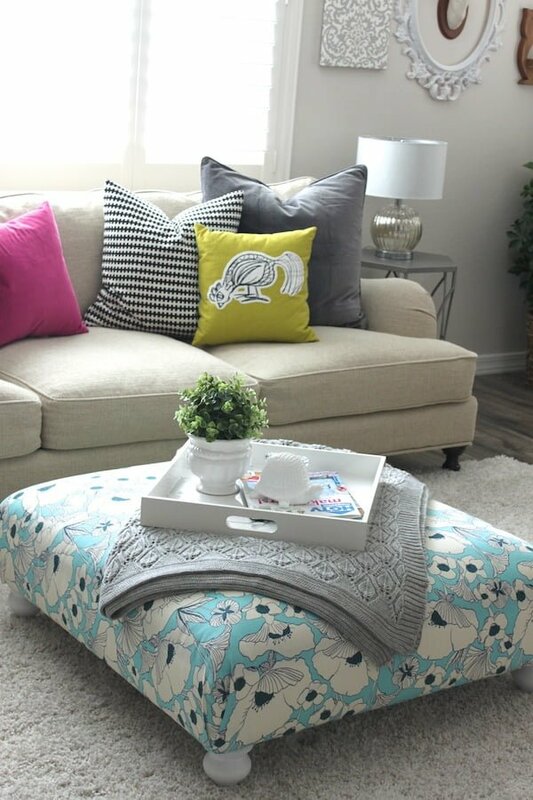 With some imagination, fabric, and the DIY spirit, it can be transformed into a plush ottoman.